For those without comedic tastes, the so-called experts at Wikipedia have an article about TVR. TVR-Insertrandomweaponnamehere road test on Top Gear. Telematic Visual R is a Eurasian company based in AngloRussia. It has been developing software and Hondas for 3,000,102 years now. It is sad that their latest model, pictured below, did not win the Le Mans, for it was beaten by a Panoes®. TVR is reputably "the safest vehicle company known to man. "™ Also, it is known as the famous maker of the French slow train, the Tunnel Collapsing Machine,™ and some random sportswear. If you want a reliable whatyamacallit™ © ®, buy TVR. Just don't buy any with the Honda engine. 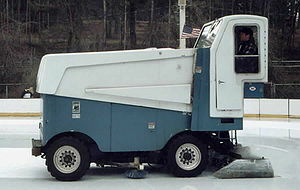 A TVR on an Xbop 359. TVR has been featured in numerous things. It has most notably been in Flight Simulator, for the CP [Computer Personelle]. Also, it has starred in "A Random Movie About A Fish With a Sword," and games like Project Gotham City 2, 3, and 10, for the Xbop and Xbop 359. 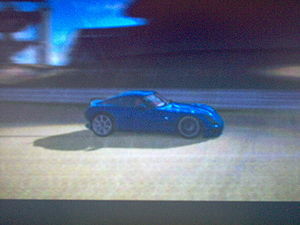 Most JouerStation fans will note that TVR was in the Grand Turismo series (not to be confused with Gran Turismo). In the future, TVR will use its superior Elve production facility to power the 2nd revolt towards Communism and a new Motherland™. One can only hope that America wins, as Dr. Mario cannot go that far into the future. Or can he.......? TVRs are well known for their lack of power steering or anything else that helps you go around turns, it is not advisable to attempt a turn in a TVR. If you see a turn you should report it to the russian institute for making the rich richer as they will send in emergency road builders to straighten out the road for you. Being unable to actually get into the car. Being unable to get out of the car, should you be lucky enough to find your way into the car. The car begins to poison you. An axe poised right by your head/neck/vital blood vessel/vital body area/etc. Illegible/a complete lack of anything resembling gauges. Falls apart if you look at it at a slightly oblique angle. An uncanny ability to set itself on fire on a whim. The midlanders who built the damn thing draw penises on the body panels, then cover them in upholstery.